Last week I was delighted to take part in the excellent Wood at Work 2018 conference. My thanks to Forests Ontario for the above photo of me at the end of the stage quickly taking as many notrs as possible. By the end of the 2 days my notes were over an inch thick. This is certainly a conference to attend if you are involved in specifying or using wood. I really enjoyed catching up with the ever engaging, and one of our most intelligent commentators on archictecture and sustainability, Lloyd Alter. I highly recommend that you visit his website – www.treehugger.com – I promise you will find it one of the most useful resources in North America. Earlier in October I had the great honour of speaking at the Greenbuilding Festival 2018 organized by Sustainable Buildings Canada. This show is already scheduled for October 8 2019 at the Toronto Marriott Downtown Eaton Centre. I highly recommend this event too. For me it is incredible to be given the opportunities to speak at these powerful gatherings and to meet researchers, scientists, builders and entrepreneurs who are committed to building a sustainable way for humans to live here on Earth. It can be done. Watch this space. This entry was posted in Uncategorized on October 29, 2018 by Peter Nolan. Wilsonart announces a renewed commitment to help educate architects and designers (A&D) about using responsibly sourced wood materials. To further support the A&D community, Wilsonart is conducting a second National Day of Learning event, launching a cross country education tour, adding new content to its educational hub, and renewing its grant to Interlochen Arts Academy – reaching tomorrow’s designers, today. Please join us Oct. 3 for a live-streamed CEU: Global Forestry 101 with Grace Jeffers, thought-leader, design historian and materials expert, who will tackle the lack of understanding within the industry about which woods and forests are endangered or threatened, and educate about which woods should not be sourced. Wilsonart invites architects and designers across the U.S. to join us via livestream on the topic of Global Forestry and what architects and designers need to know to protect their practices. The CEU will take place on October 3rd, 2018 from The Center for Architecture in NYC . 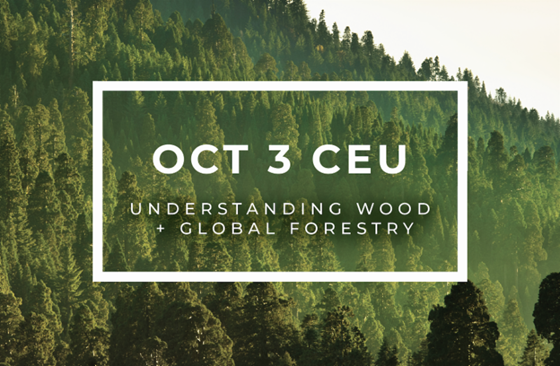 The Global Forestry CEU, which is accredited by AIA and IDCEC, will be streamed live and presented by Grace Jeffers, an American writer, historian and educator, who is known for an interdisciplinary and integrated approach to the study of materials. This entry was posted in Uncategorized on September 3, 2018 by Peter Nolan. Very excited to present “Design for Global Forestry” – which many of you know as my Global Forestry 101 lecture – in Kent State University. 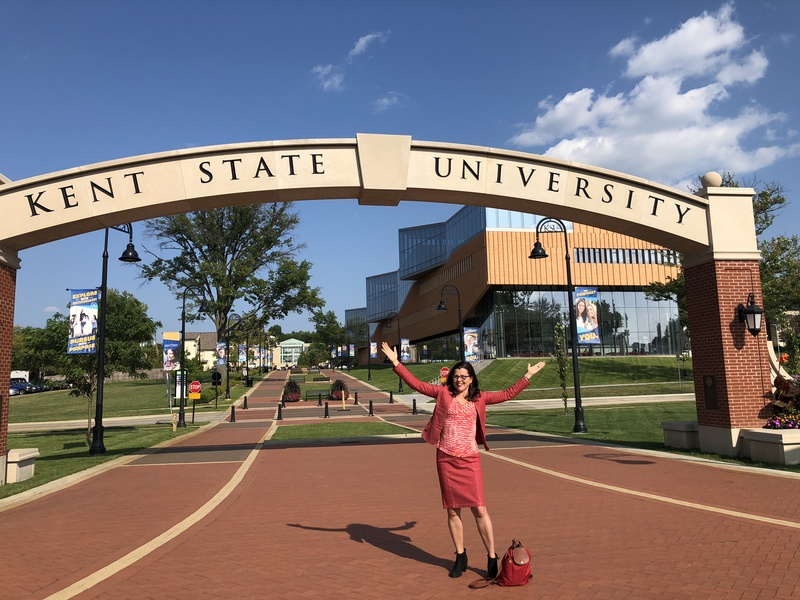 The College of Architecture and Environmental Design (CAED) at Kent State University is the setting for this year’s chair competition. Grace is delighted to be working closely with the great Pamela Evans, Ph.D., FIDEC, IIDA, LEED AP – who is the Director of the Interior Design Program and Associate Professor. The chair class, as ever is made up of an eclectic group of architecture and design students who are blissfully unaware of what lies ahead. Grace’s famous chair drawing class gave them an inkling of what is to come. This class is a marathon review of chair history, narrated by Grace and drawn by the students. They complete over a 100 drawings in as many minutes and is designed to re-program any preconceptions the students may have about chairs. There now follows a period of intense learning about the material they will use to build their chairs – Wilsonart laminate. The theme for this year’s competition is Parametric Design and Digital Fabrication in which Kent State University is a leader. We look forward to reviewing the designs to come and to ICFF 2019. This entry was posted in Uncategorized on August 24, 2018 by Peter Nolan. ICFF 2018 starts this Sunday. 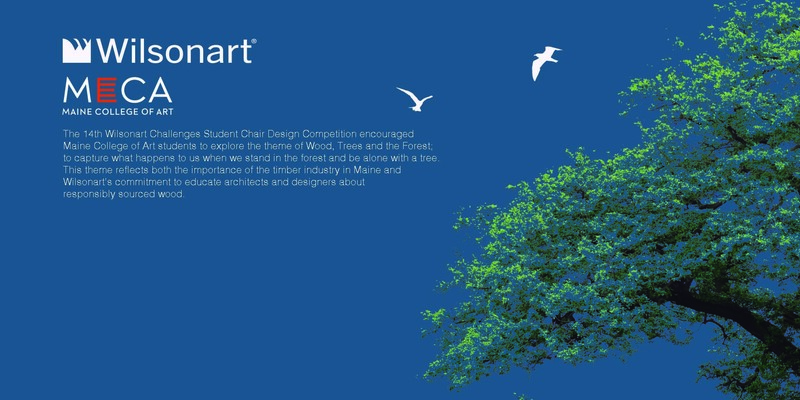 I am so excited about this 14th year of the Wilsonart Challenges Chair Design Competition. Each year I work with some of the most talented designers and their professors. This year we worked with Maine College of Art (MECA) and the theme was how trees make us feel. Trust me their work will knock your socks off. Visit us at Wilsonart booth number 2211. This entry was posted in Uncategorized on May 17, 2018 by Peter Nolan. See full article on this link. This entry was posted in Uncategorized on April 9, 2018 by GJW. I am so happy to be part of this wonderful pack of creatives. 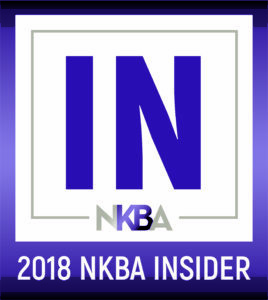 We are all part of the NKBA Insiders 2018. The NKBA program brings a renewed purpose to empower the industry through the sharing of actionable global design insights. Each of the NKBA Insider was hand selected as the thought leader in his or her area of design expertise and for an ability to push boundaries and infuse global knowledge and experience into a growing kitchen and bath industry to positively impact the residential built environment. The 2018 Insiders will uncover insights and report back on the following areas of design focus: Bobby Berk – multi-generational and convertible living spaces; Bob Borson – design technology; Grace Jeffers (ME!) 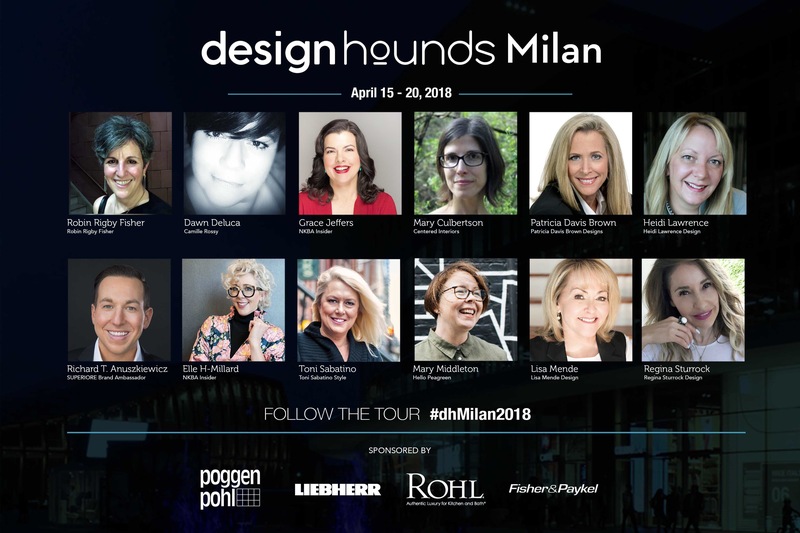 – materials and products for Good Living (health, wellness and sustainability); Stacey Bewkes – authentic luxury; Beth Dotolo and Carolina Gentry – artisans and makers; and Elle H-Millard – business of design. We are all heading to Milan later this month. More details to follow. This entry was posted in Uncategorized on April 4, 2018 by GJW. 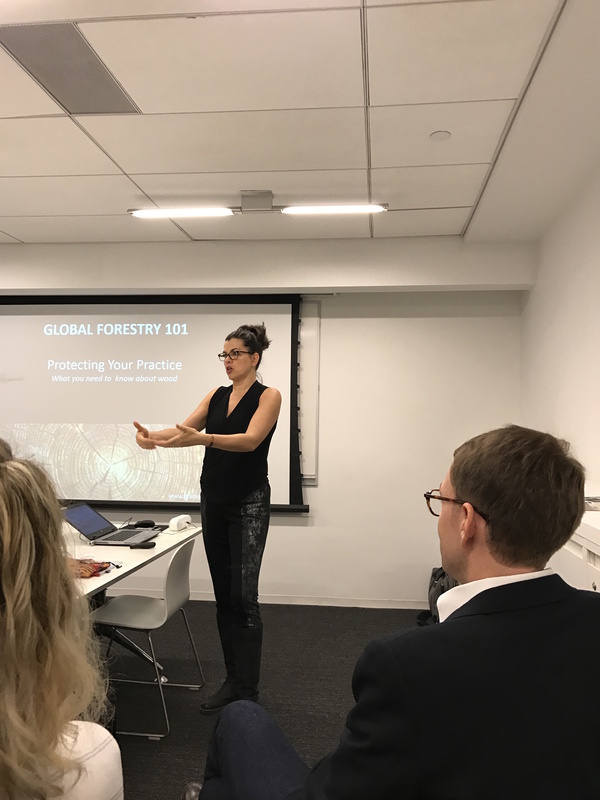 Last Wednesday, October 18th, I presented my newly updated Global Forestry lecture in the AIA’s Centre for Architecture New York as part of Wilsonart’s National Day of Learning. I am linking here to a review of the lecture from Treehugger.com. 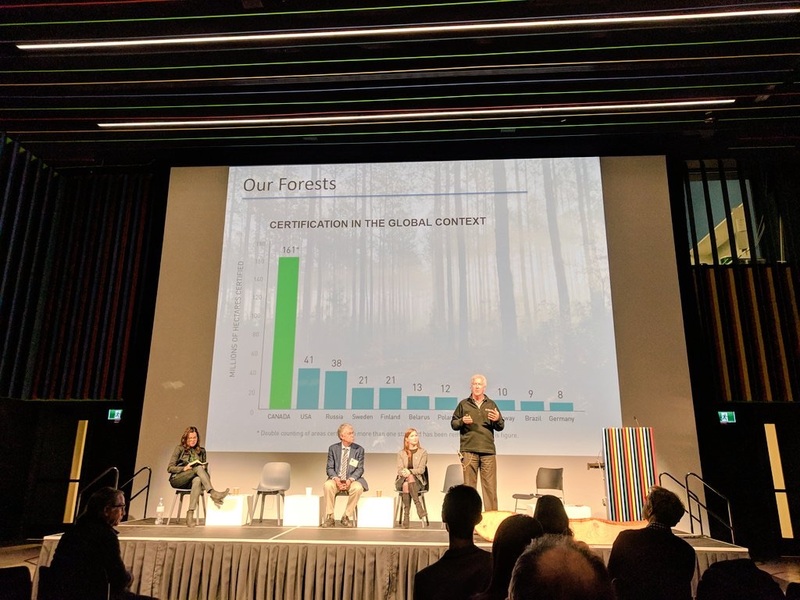 And here is a link to the survey results and a link to my white paper – Design for Global Forestry. You can also see a recording of the presentation here. The responses have been overwhelming and I really believe we are turning the thought leaders of architects and designers on to the concept that trees may be renewable bit forests are not. I am looking forward to bringing this message to larger audiences in 2018. We must do all we can to protect our global forests. This entry was posted in Uncategorized on October 23, 2017 by GJW. In a recent national survey conducted by SMS Research Advisors for Wilsonart, 70 percent of architects and designers agree that using responsibly sourced wood materials is a priority. The challenge: 99 percent could not correctly identify the majority of endangered woods from a list they were given. Furthermore, the survey revealed awareness that a wood is endangered does not always prevent usage. Up to 51 percent of endangered wood users are aware that the wood is endangered or threatened, but 40 percent of respondents said they would still specify an endangered wood if their client specifically requested it. A National Day of Learning. Wilsonart invites architects and designers across the U.S. to join in person or online for a CEU on the topic of Global Forestry and what architects and designers need to know to protect their practices. The CEU will take place October 18, 2017 at The Center for Architecture in NYC and will be livestreamed twice that day so participants outside of NYC can join. 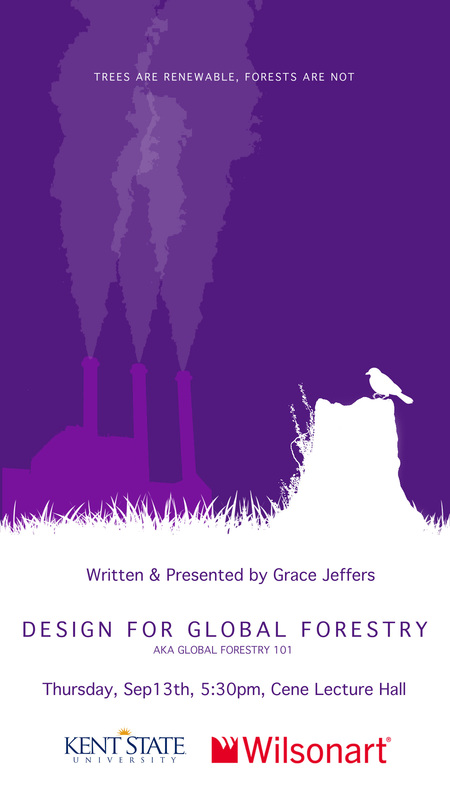 The Global Forestry CEU, which is accredited by AIA and IDCEC, will be presented by Grace Jeffers, thought leader, design historian and materials expert, who is known for an interdisciplinary and integrated approach to the study of materials. A Global Forestry White Paper. Knowing how complex this issue is, a white paper has been created to provide the A&D community a comprehensive overview of the subject and steps they can take to protect their practice. A Partnership with the Interlochen Academy of the Arts. Situated on a 1,200-acre campus near Traverse City, Michigan, Interlochen Academy of the Arts is one of America’s premiere arts educational institutions. It draws young people from around the world to study music, theater, dance, visual arts, creative writing, motion picture arts and comparative arts. Wilsonart has underwritten curriculum exploring “The Art of Ecology,” and “The Ecology of Art.” As part of the course material, artists Daniel McCormick and Mary O’Brien will visit the campus and collaborate with students on art installations within the forests at Interlochen. Additionally, Wilsonart is supporting the transformation of a Red Pine plantation forest, located on the Interlochen campus, into a natural, native forest. Phase one, which takes place in late 2017 and throughout 2018, involves selective thinning of the existing forest and the reintroduction of native species. An Educational Hub. In the fall, 2017, Wilsonart will launch an education hub with all materials developed for the program on Wilsonart.com/understanding-wood. The hub will act both as a resource for the A&D community and a gallery of Interlochen students’ blog posts, videos and perspectives about the issue. This entry was posted in Uncategorized on October 3, 2017 by GJW.